Growing plants in the CAR: Lord's Army? Central African Republic was in the news again today because of some violence, but this was not from the recent war. Fighting between the dominant rebel group and the government seems to have stopped for now. There are still plenty of other rebel groups in the country though, including one of the more conspicuous ones, the Lord's Resistance Army (the LRA). The LRA started its fight so it could take over Uganda and govern by following the 10 commandments. Believing God had called them to carry over threw the government, they have been using fear and destruction as tools of war across the region. They are responsible for the brutal slaughtering of many innocent people, as well as the abduction, mutilation, and/or violent indoctrinating of tens of thousands of children over the last 25 years. Many may remember last year's YouTube video "Kony 2012" that went viral overnight. 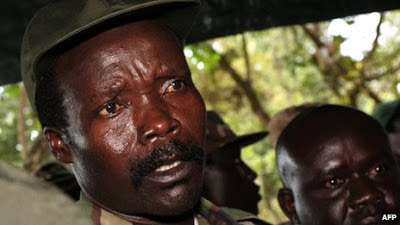 Joseph Kony is the leader of the LRA and is wanted for war crimes in the international criminal court. Last Friday one of his "bodyguards", the one in charge of "child abduction", was killed. As of last October there have been 100 US Special Forces soldiers in CAR, hunting this incredibly violent group along with several African countries militaries. The LRA appears to be hiding somewhere on the west side of CAR, and my mission station (Gamboula) is located on the far east side, so there is currently not a high risk of them affecting my work there. However, they are still a very dangerous and unpredictable group and I would appreciate prayer regarding stability in the eastern region of CAR, as well as the speedy apprehension of this group.